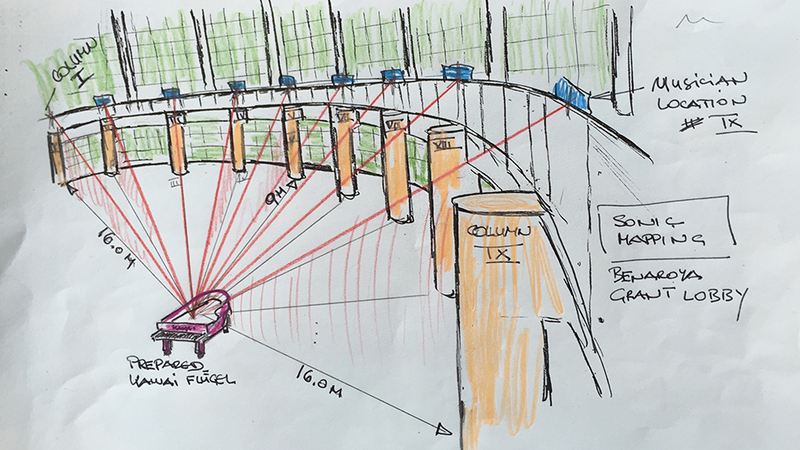 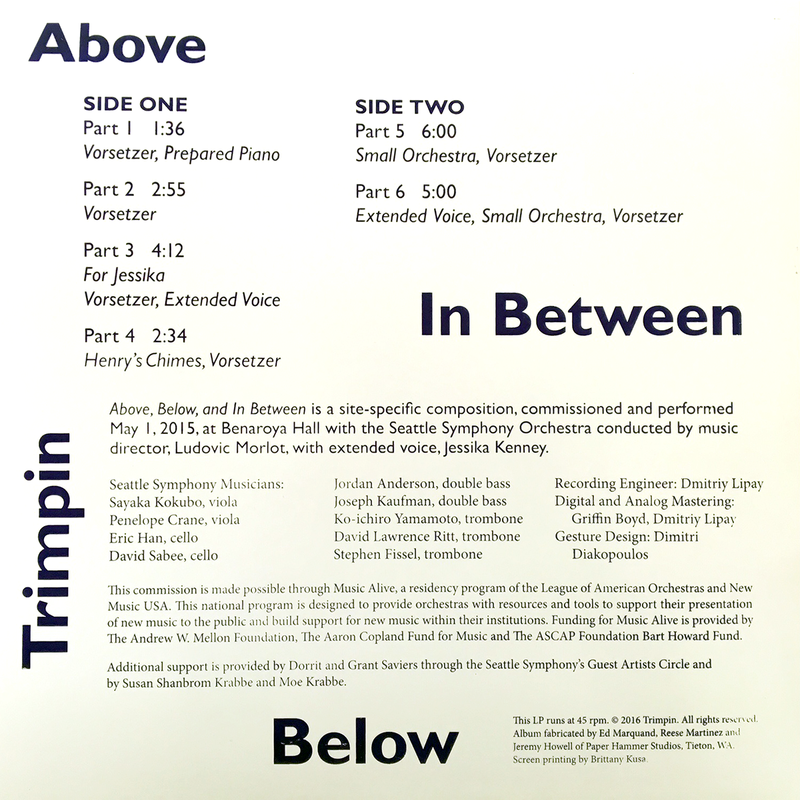 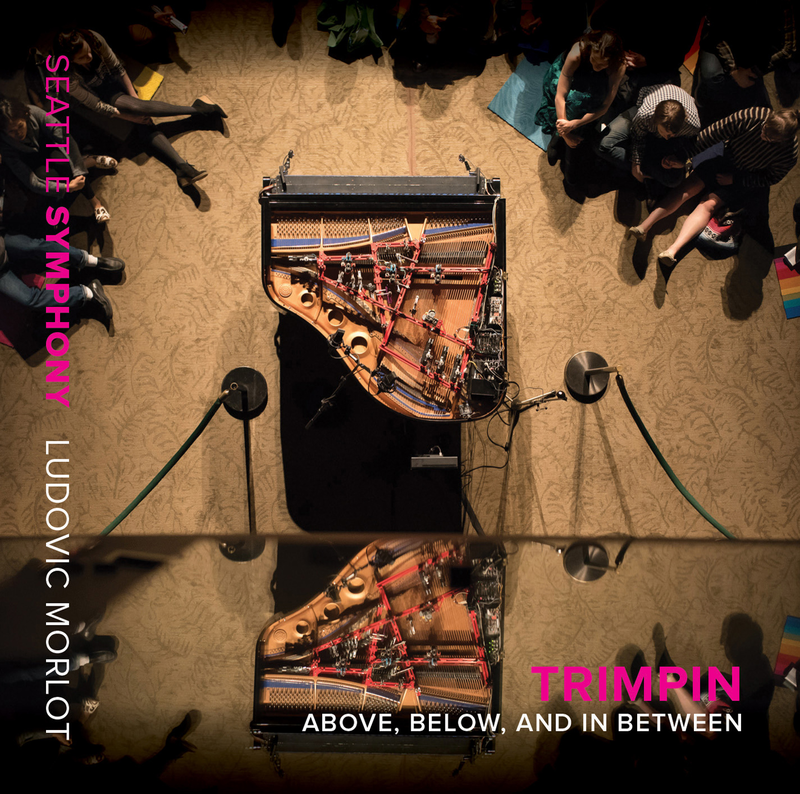 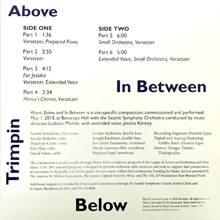 Above, Below, & In-Between was commissioned by the Seattle Symphony in 2014 for kinetic artist and composer Trimpin. 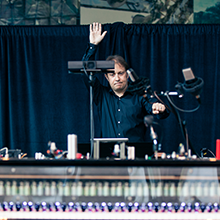 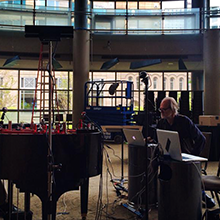 The 30 minute piece premiered on May 1st, 2015 in Benaroya Hall under the direction of Symphony conductor Ludovic Morlot, nine human performers, and three kinetic instruments designed by Trimpin. 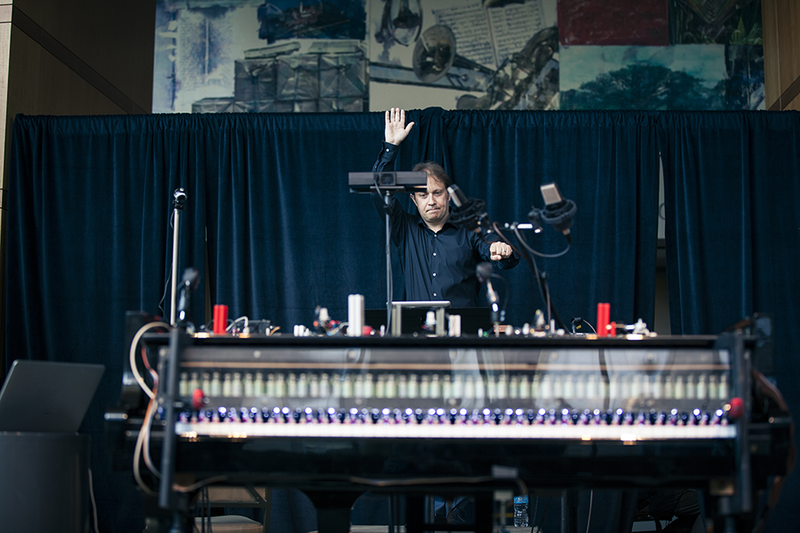 The piece consists of a through-composed score where the kinetric instruments -- a robotically-prepared piano, an octave of orchestral chimes, plus an assortment of custom reed-blowing horns -- are dynamically controlled by the conductor. 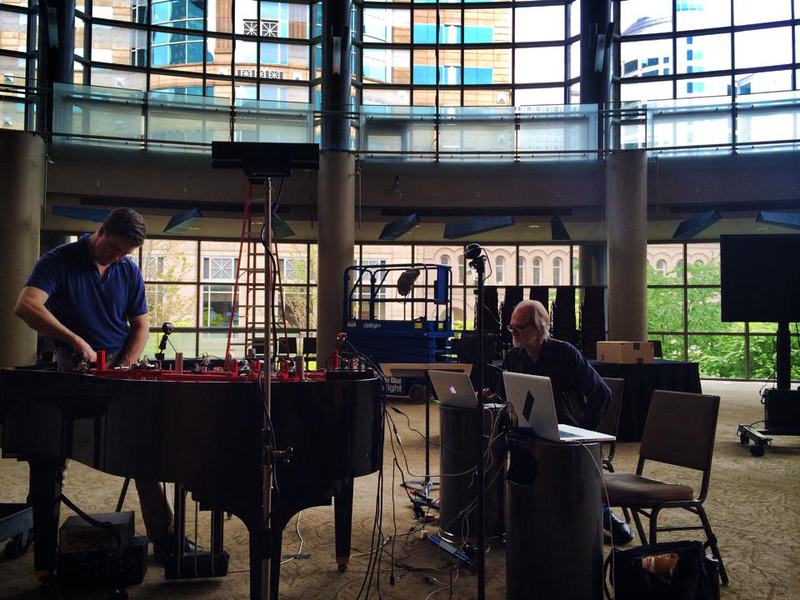 Trimpin and I started our collaboration on this piece in 2014 by using a depth camera to time start/stop sequences and add dynamics control to each instrument.